The Verano Orange Rose opens into a classic-shaped bloom. 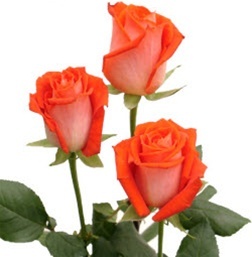 The Verano Orange wholesale rose features a large head with petals that are a darker orange inside and lighter orange outside. This beautiful rose is a favorite for wedding bouquets, centerpieces and floral arrangements. Free shipping!